B & F Engineering (B & F) is a professional engineering and surveying firm that has provided quality professional services for over 45 years. Established in 1972, B & F is an Arkansas corporation owned by its full-time professional staff. B & F has grown steadily into a firm of qualified professionals equipped with state-of-the-art support facilities necessary to provide services to a broad array of clients. B & F understands that providing our clients with the best technical capabilities is a requirement. Clients demand a company that can deliver high quality services with the best available technology at a reasonable cost. 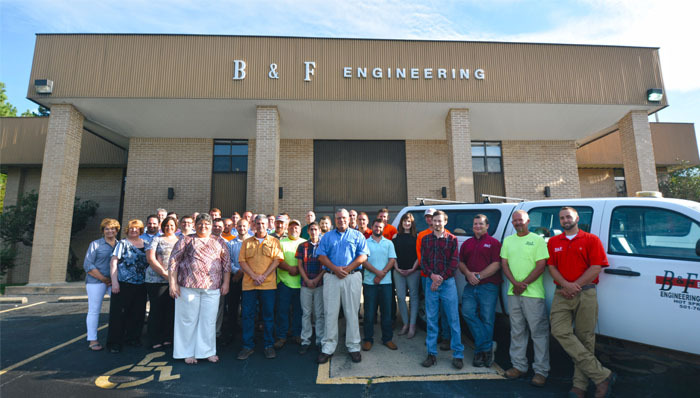 B & F Engineering has registered professionals in Arkansas, Colorado, Missouri, Louisiana, Kansas, Oklahoma, Mississippi, Texas, Alabama, Tennessee, Virginia, Ohio, Florida, Georgia, and South Carolina.